YOUR DONATIONS AT WORK - Website of inspiritmin! At this last First Saturday Chant, we can't think of a better recipient for our monthly community gift than the Harmony Project. 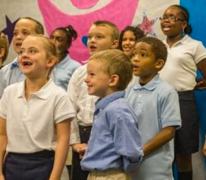 From its inception in 2009, the Harmony Project has been all about using music and the arts to build a stronger, more inclusive, and more loving community. 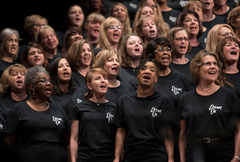 The Harmony Project Choir, says Creative Director and Founder, David Brown, is "the sound of the community, if we all started singing together." 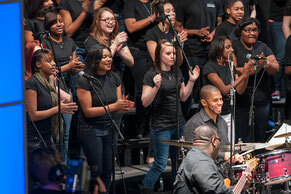 The choir is 500 people strong now and will be offering up a rousing, free concert at the Columbus Commons on June 7th. The Arc of Appalachia Nature Preserve has launched an emergency fund-raising campaign to prevent Fern Gully from falling to development. Fern Gully is a tributary of Clear Creek. Located in the Hocking Hills region of Ohio, it touches the 5300 acre Clear Creek Metro Park, Ohio's largest dedicated state nature preserve and Columbus and Franklin County Metro Parks' second largest park. Fern Gully's beautiful hemlock-shrouded ravine is filled with unfurling ferns, both on the valley floor and crowning its rocks. 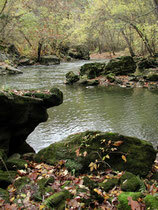 There are 43 species of ferns, abundant wildflowers and majestic rock formations. There are over 100 species of breeding birds, including Ohio rarities such as the blue-headed vireo, blue-grey gnatcatcher, hermit thrush, magnolia warbler and occasionally even the Canada warbler. For our May community gift, In Spirit made a generous donation toward this emergency conservation effort. From donations at the April 7th Chant, In Spirit made a donation to the Arc of Appalachia Nature Preserve System in support of their work acquiring and stewarding wildlands in Ohio. Local resident and good friend Marian Jacques is off on her sixth tour of volunteer service with TAFCOM, a non-profit working in the Kilimanjaro region of Tanzania, an area hard-hit by HIV/Aids. Marian works closely while she's there to support the needs of women and children, particularly in TAFCOM's Children's Center and Women's Tailoring Group. In Spirit Ministries makes a generous community gift from each month's donations. For the month of December, our gift went to Faith Mission, to support its ongoing mission of providing shelter and food for homeless residents of Columbus. Each year nearly 525,000 Ohioans turn to Mid-Ohio Foodbank and its network of agencies for emergency food assistance. Half of those helped are children and seniors. With your help, In Spirit was able to make a generous donation to the MOF in support of its important mission. In Spirit Ministries gave its October 2017 tithe to a hurricane relief fund set up for residents of Puerto Rico, by the Hispanic Federation. Funds are being used to facilitate the deployment of fully trained and certified first responders, including payment for the flight to Puerto Rico and the accompanying arrangements. These first responders-comprised of NYPD and FDNY members and others- joined relief efforts on the island to provide the technical support so badly needed. Relief efforts include everything from examining the structural integrity of buildings so individuals can safely return to their homes, to providing basic supplies like food and clean water. In Spirit Ministries makes a generous community gift out of each month's donations. Our September gift went to the Community Shelter Board in support of its mission to end homelessness in Columbus. 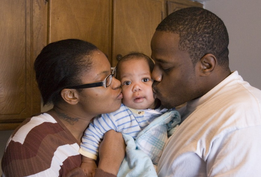 The CSB serves over 8,000 people a year, providing emergency shelter, housing, couselling, and other support services. Partnering with many other local agencies, the CSB has become a national model for how to address homelessness. We're pleased to be able to support their important work. In Spirit's August community tithe went to the Clintonville Beechwold Resource Center to support their important work in our community. Our July charitable gift went to support a service project (SEVA) in India sponsored by our guest musician, Karl Anthony, which provides funds for two schools and one orphanage. Every year, Karl and a group of volunteers from the US, visit schools and orphanages in India, making music, bringing smiles, and providing much needed financial support. For more information about this worthy project and the many children it is helping, go to KarlAnthonyMusic.com. Founded in 2008, Pelotonia was established to fund life-saving cancer research at the Ohio State University Comprehensive Cancer Center-James Cancer Hospital and Solove Research Institute. 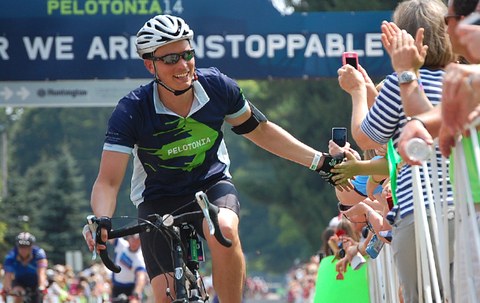 Pelotonia is a 3-day weekend of cycling, entertainment, and volunteerism. Pelotonia weekend this year will be Aug. 4-6, 2017. Through its first eight rides, Pelotonia raised more than $130 million for cancer research. In Spirit is delighted to make a generous donation to this important organization from donations received at our Saturday event with Karen Drucker, on June 4, 2017. 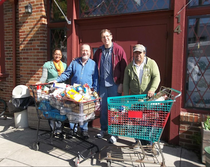 In Spirit's May community tithe went to the Clintonville Beechwold Resource Center, to help keep their community Food Pantry stocked for the summer months and support their important work in our community. 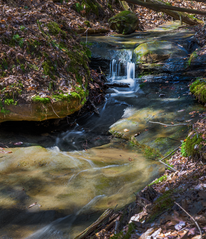 In Spirit's March community service tithe will go to the Tecumseh Land Trust, a non-proft based in Yellow Springs, dedicated to preserving land and water resources for future generations. Our donation will go directly to the Jacoby Creek Protection Fund, a creek just west of Yellow Springs, which is part of a 267 acre parcel coming up for public auction on March 16th. When current projects are complete, the TLT will have preserved over 28,000 acres. We are proud to contribute to this important environmental work in central Ohio. Our February community tithe went to Faith Mission, to support its ongoing mission of providing shelter and food for homeless residents of Columbus. For information about the many services Faith Mission provides, go to: faithmissionofohio.org. In Spirit's January 2017 community tithe went to the Clintonville-Beechwold Resource Center, to help their efforts to support our neighbors in need. 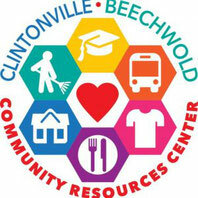 For more information about the valuable work they're doing in our community, go to: Clintonvillecrc.org. In Spirit Ministries' December tithe went to the Community Shelter Board in support of its mission to end homelessness in Columbus. 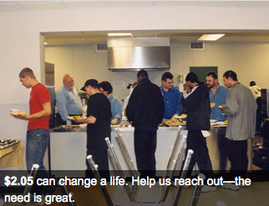 The CSB serves 8.000 people a year, providing emergency shelter, housing, counseling, and other support services. Partnering with other local agencies, the CSB has become a national model for how to address homelessness. We're pleased to support this important work. In Spirit gives a generous community gift out of each month's donations. November's gift went to Faith Mission to provide Thanksgiving meals for the hungry and homeless. They can provide a complete hot meal for $2.25. We aim to cover the cost of at least 100 meals. We hope you'll help us by giving generously at the First Saturday Chant on November 5th. For more information about how Faith Mission is helping the homeless of central Ohio, go to: Faith Mission of Ohio. 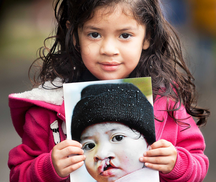 Operation Smile is an organization that provides free surgeries to children born with cleft lips and cleft palates. A child's cleft lip or palate can be repaired for as little as $240 and in as few as 45 minutes, but billions of people around the world lack access to surgical care Since 1982, Operation Smile has provided hundreds of thousands of free surgeries for children from more than 60 countries. Currently they are conducting medical missions in Pueblo, Mexico and Sogamoso, Colombia. People in Need's annual School Shoe Program provides children with a new pair of shoes to begin the school year. The program is available to children of Low-to-Moderate Income (LMI) families who reside in Delaware County and attend Delaware county schools. It has been going on since 1999. The program is successful in part because of a partnership with the Payless Shoe Corporation. Gift cards are provided by Payless at a 10% discount. Parents are given a $25.00 Payless gift card to purchase a pair of shoes for their child to begin the year. Last year, 700 pairs of shoes were provided to schoolchildren of Delaware County through this People in Need program. We are delighted to support their good work with our monthly community tithe. For more information about People in Need's school shoe program and other initiatives, go to: delawarepeopleinneed.org. 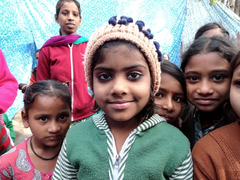 Our July charitable gift was designated for a service project (SEVA) in India sponsored by our guest musician, Karl Anthony, which provides funds for two schools and one orphanage. For more information about this worthy project and the many children it is helping, go to KarlAnthonyMusic.com. 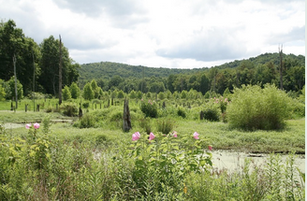 From donations at the Solstice Chant on June 20th, In Spirit will make a generous gift to the Arc of Appalachia Nature Preserve System in support of their work acquiring and stewarding wildlands in Ohio. This month In Spirit's community tithe will go to the Khmer Child Foundation, a non-profit founded by minister/musician David Ault. The mission of this org is "to provide non government regulated education to the orphaned and disenfranchised children of Cambodia as well as to establish sustainable solutions for high-quality living." Currently they serve 385 children annually, and they have constructed 212 water wells. Donations help fund salaries for an administrator and eight rotating teachers, offering hands-on classroom instruction in three different daily shifts. The current curriculum consists of Mathematics, English, Computer and Sewing Training as well as a blossoming fine-arts program, providing instruction in music and traditional Khmer dancing. This month In Spirit's community tithe will go to the Clintonville Beechwold Resource Center, to help keep their community Food Pantry stocked for the summer months ahead. 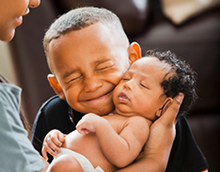 With your help, we hope to make a generous gift to their important work in our community. This month In Spirit's community tithe will go to Mercy Ships. In Spirit's community gift for March will go to Children's Hunger Alliance, which works throughout Ohio to provide children with access to nutritious food. In Spirit's community gift for February will go to Big Brothers Big Sisters of Central Ohio to support their mission of mentoring, inspiring, and empowering kids. By partnering with parents and caregivers, schools, businesses, community organizations, and volunteers, Big Brothers Big Sisters of Central Ohio helps kids facing adversity in our community achieve success. Since 1933, they have made a difference in the lives of over 100,000 kids. It's the start of a new year, and the beginning of our coldest months. So it's the perfect time to support the efforts of Faith Mission, which provides shelter and food for the homeless of Columbus. Faith Mission is the only organization in Franklin County that provides three meals a day, every day of the year, to the homeless and hungry. In Spirit is happy to support the efforts of this worthy organization with our community tithe funds for the month of January. For information about the many services Faith Mission provides Columbus residents in need, go to: faithmissionofohio.org. 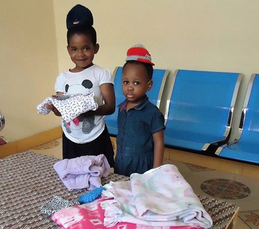 In Spirit Ministries makes a generous community gift out of each month's donations. This month that gift goes to the Community Shelter Board in support of its mission to end homelessness in Columbus. The CSB serves 8.000 people a year, providing emergency shelter, housing, couseling, and other support services. Partnering with many other local agencies, the CSB has become a national model for how to address homelessness. We're pleased to be able to support this important work. In Spirit gives a generous community gift out of each month's donations. This month's gift will go to Faith Mission to provide Thanksgiving meals for the hungry and homeless. They can provide a complete hot meal for $2.25. We aim to cover the cost of at least 100 meals. We hope you'll help us by giving generously at the First Saturday Chant on November 7th. For more information about how Faith Mission is helping the homeless of central Ohio, go to: Faith Mission of Ohio. In Spirit Ministries' September community gift went to the Mid-Ohio Foodbank, which has designated September "Hunger Action Month." The Foodbank and its partners are asking everyone to help spread the word about the pervasiveness of hunger. Visit their Hunger Action Month calendar to see what actions you can take to end hunger in your community. For more information, go to: www.midohiofoodbank.org/ham. In Spirit Ministries' August community tithe will go to Neighborhood Services, Inc. NSI annually collects and distributes backpacks, writing utensils, paper, calculators, pens, and other essentials that kids need for a productive school year to children in grades K-12. A generous gift from the July 4th Chant will go to the CRC, located in the heart of Clintonville, to support its Summer Lunch Program. Meals will be provided free of charge to all children, at specified locations and times throughout the summer. For a list of sites and times when meals will be provided, go to: clintonvillecrc.orgor call 614-268-8118. From donations at the Solstice Chant this Sunday, In Spirit will make a generous gift to the Arc of Appalachia Preserve System in support of their work acquiring and stewarding wildlands in Ohio. Summer is a great time to give generously to the Mid-Ohio Food Bank. School lunches are going away for many families relying on them, creating a greater need for nourishing meals than all through the year. Help us make a generous donation with your gifts at the Chant--or by donating online at Inspiritministries.org. This month In Spirit's community tithe will go to South High Harmony, an after-school music and arts program fostering creativity and responsibility among 7th-12th graders at South High School in Columbus. An outreach initiative of the Harmony Project, South High Harmony involves students in community service, and encourages them to find and share their voices in the world. This month In Spirit's community tithe will go to Mercy Ships. In the poorest parts of Africa, children suffer and die from treatable causes. Mercy Ships is the world's largest civilian hospital ship providing first-rate care to those in desperate need -- free of charge. We're grateful to be able to contribute to their efforts. In Spirit routinely tithes back into the community from each month's donations. For the month of March, our community gift will go to Faith Mission, where they anticipate serving more than 61,000 meals this spring to the homeless and needy of Columbus. With your help, we aim to help cover the cost of some of those meals. Your support helps Big Brothers Big Sisters match at-risk youth in our community with caring adults so they can become confident, competent, and caring individuals. Sat. March 7th will mark the 32nd year of BBBS's big bowling event, which will be held all day at Columbus Square Bowling Palace. It's the end of the year, and the start of winter's coldest months. This is the perfect time to support the efforts of Faith Mission, which provides shelter and nourishing meals for the homeless of Columbus. In fact, it's the only organization in Franklin County that provides three meals a day, every day of the year. In Spirit Ministries is happy to support this worthy organization with our community tithe funds for the month of January. 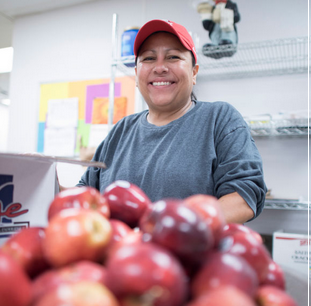 The mission of the Mid-Ohio Food Bank is to end hunger one nourishing meal at a time and to co-create a sustainable community where everyone thrives. 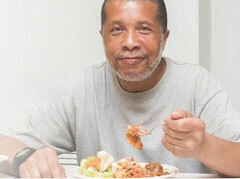 Since 1980 they've been working with grocers, food companies, farmers, the USDA, and community partners to obtain food and distribute it to 625 food pantries, soup kitchens, shelters, after-school programs and senior housing sites across central and eastern Ohio. In Spirit is proud to support the Mid-Ohio Food Bank with this month's community tithe. With your help, we'll be making a generous cash donation, and dropping off nutritious canned and boxed foods at the affiliated north side food pantry, the Clintonville-Beechwold Community Resources Center. Faith Mission is in its 48th year of providing hope in Columbus. Over the Thanksgiving season, they expect to provide over 70,000 hearty meals to hungry and homeless people. Just $2.05 covers a complete meal. With the help of your donations at the First Saturday Chant, In Spirit aims to fund at least 100 of these meals. Thanks for your support that helps us support others. In Spirit Ministries regularly tithes 20% of donations received at our monthly Saturday Chant to a community service agency. We hope you will give generously at the Oct. 4th Chant so we can make a generous gift to the Community Shelter Board, which is working to end homelessness in Columbus. "I cannot express how thankful and grateful I am for your donation to fund our music program. I am so happy that there are this many people who truly appreciate music education in our public schools. The students are eager and excited to start playing their new instruments. These instruments will enable my students to learn how to compose, improvise, work in a group, and many other worthwhile skills. I can't wait to start teaching with these instruments and I know the students can't wait to start playing!" In Spirit Ministries re-gifts 20% of all donations received at our First Saturday Chants to worthwhile community service organizations. This month's gift will go to Neighborhood Services, Inc., a non-profit founded by churches in the university district, for its Back-to-School Program. NSI's Back to School Program provides Columbus children with new school supplies such as backpacks, paper, calculators, pens/pencils, crayons/markers, glue, scissors, folders, binders, highlighters, rulers, calculators, etc. and new school clothing. Last year they served 293 children. This year they're aiming to help 400 kids get ready for school. Backpack distribution begins Aug. 12. In Spirit Ministries is happy to donate to a number of charities and non-profits doing valuable work in our community. Our gift from the Summer Solstice Chant will go to the nature preserve in southern Ohio, the Arc of Appalachia Preserve System. The Arc buys forested land in key botanical "hotspots" and then slowly expands those forests in size as funds for land procurement allow, allowing the woodlands to naturally age and diversify. 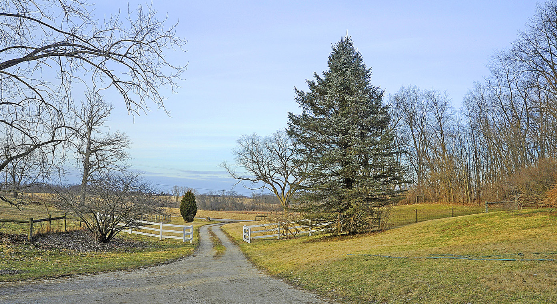 In addition to forest preservation, the Arc preserves important eco-systems such as wetlands and native prairies, as well as ancient earthworks, such as Serpent Mound, and historical buildings present at these sites. For more information about the Arc, go to: www.arcofappalachia.org. In Spirit Ministries routinely gives a generous charitable gift from the donations received at each of our monthly Chants. 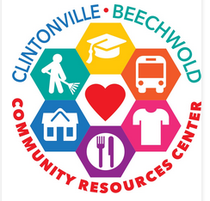 The community gift from the June Chant will go to the Clintonville-Beechwold Community Resources Center, which is opening a new neighborhood Food Pantry in the basement of Gethsemane Lutheran Church, 35 E. Stanton Avenue. In partnership with the church's congregation, the CRC will have open food pantry hours on Wednesday evenings and Saturdays. In these summer months, when schools close and free lunches become unavailable, families can have a higher need for food pantry services. In Spirit is grateful for the work the CRC is doing in our community and happy to support it. Your donations at the Chant in December helped us give a generous gift to Franklin County Children's Services' Holiday Wish program. Holiday Wish just celebrated 50 years of helping to provide gifts at Christmas for thousands of children under its care. Last year Holiday Wish was able to provide gifts for over 5,000 children, and in the 50-year life of this organization, they have provided gifts for over 150,000 children. We thank all those who help support In Spirit Ministries so we can give back to the community in meaningful ways. Thanks to your donations at the November Chant, we were able to gift Faith Mission with funds to cover 100 Thanksgiving meals for the homeless folks they'll be serving later this month. Thank you for your support that is making such gifts possible! The charitable gift from donations received at the Saturday Chant on Sept. 7th will go to Mercy Ships. The Africa Mercy, a floating hospital ship, is now in Pointe Noire, Republic of Congo, a country where there is only one doctor for every 100,000 people. 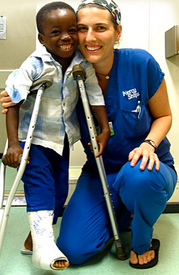 During the ship's 10-month stay, thousands of people will receive life-saving surgeries. The timing couldn't be better for us to make a generous gift to the healing work of this wonderful organization. For more information see: Mercyships.org. The community gift from the August chant once again went to the Clintonville-Beechwold Area Food Pantry, an affiliate of the Mid-Ohio Food Bank. The summer months are a particularly good time to stock up the cupboards at our local pantries since schools are closed and children are not getting the school lunches so many families depend on. The Coming Home Project is a non-profit committed to improving the lives of returning veterans and their families. Through retreats, educational programs, and psychological treatment, the CHP builds a community of trust, safety, and compassion that helps alleviate the unseen injuries of war. CHP's services help prevent the chronic, disabling post-traumatic stress, isolation, family dysfunction, homelessness, and other related problems faced by so many veterans. Students are now facing the summer break, which for many children means an end to the snacks and meals they have depended on during the school year. One in four Ohio families are now facing this challenge. 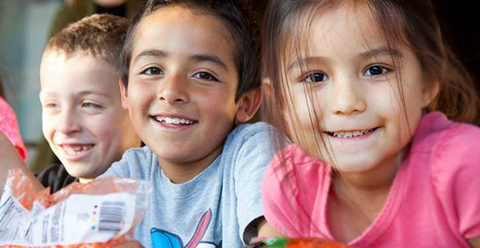 Last summer, the Children's Hunger Alliance, with feeding stations across the state, provided hot lunches and snacks to more than 66,000 children. This year, their goal is to fill an additional 2,000 tummies each day. 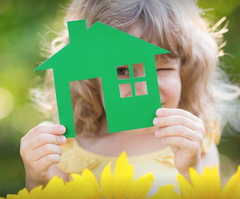 The donations received at the Solstice Healing Chant on June 20 helped In Spirit Ministries make a generous contribution to this worthy mission, and help children across Ohio have a happier and healthier summer. To learn more about the mission and services of the Children's Hunger Alliance, go to: www.childrenshungeralliance.org. The charitable gift from the donations received at the June 1st Chant went to the Community Resource Center, located at 14 W. Lakeview, in the Clintonville-Beechwold area. 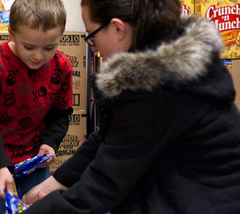 The CRC has been providing food for the hungry of Columbus for 42 years. With schools closed for the summer, your donations will help replace many of those school lunches many kids and families depend on. As a result of your generous donations of money and food items, In Spirit was able to deliver a large box of food items and a sizable cash contributiuon to the CRC. The community gift from the donations received at the May 4 First Saturday Chant was given to South High Harmony, an after-school music and arts group started by the creative director of the Harmony Project, David Brown. 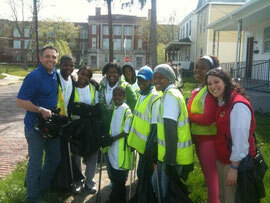 Members of South High Harmony not only sing together--they also do community service together, as in the photo above, doing a little spring clean-up along Livingston Ave. These energetic, creative, musical high school kids are earning a trip to Washington DC with their service projects, and with your help, In Spirit will contribute to the expenses associated with this trip. Most of these kids have never traveled away from home and don't have suitcases or other travel necessities. Thanks for your generous gifts.